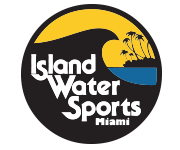 Owned and operated by surfers, Island Water Sports Miami has always prided itself on having the largest and most complete selection of surfboards, FCS fins, Future fins and accessories in Miami. With over 150 boards in inventory our store is able to carry a complete range of surfboards. Whether your an expert or beginner, short boarder or long boarder, local or international surfer, Island Water Sports has all the boards and accessories you will need.